DAYTON, Tenn. – A humanist organization that has repeatedly fought against public displays of prayer or Christianity is now raising funds to erect a statue in a courthouse lawn of Clarence Darrow—the promoter of evolution in the famous Scopes “Monkey” Trial. The American Humanist Association (AHA) is a group based in Washington, D.C., that believes in “good without a god.” In addition to promoting humanism, the AHA opposes many public displays of prayer, scripture, or Christianity. As previously reported, the AHA threatened last year to file a lawsuit against a Georgia school district because the district did not prohibit football coaches from leading prayers. The AHA has similarly threatened to sue the Missouri National Guard for allowing a display of Bibles, a Mississippi school district after a pastor delivered a sermon and prayer at a convocation, an Air Force base for requiring a serviceman to say “so help me God” in an oath, and another Georgia school district for displaying two Bible verses on school property. Now, the humanist organization is supporting an effort to erect a statue of Clarence Darrow on the grounds of the Rhea County Courthouse in Dayton, Tennessee. The courthouse is where Darrow famously defended the teaching of evolution in the Scopes “Monkey” Trial of 1925. Sculptors Zeno and Rosalie Frudakis first proposed the statue idea, and the AHA is now raising funds for the project. The Scopes trial of 1925 was a pivotal moment in the creation-evolution debate, as Darrow, a self-professed agnostic, sought to ridicule Christianity and the Bible’s teachings about the origin of life. William Jennings Bryan, a Christian and skilled orator, articulated arguments against evolution. 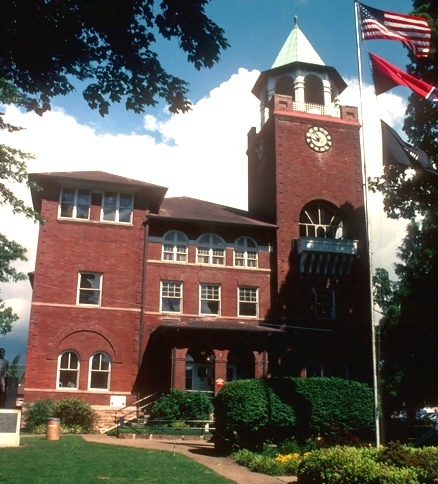 During the 12-day trial, Darrow and Bryan argued over the right of high school teacher John Scopes to teach evolution in the local Rhea County high school. Though a Tennessee law prohibited the teaching of evolution at the time, Darrow saw the highly-publicized trial as an opportunity to discredit Bryan’s Christianity, the Bible, and biblical creation. Over the course of the trial, Darrow repeatedly attacked the Bible’s reliability. If the AHA’s fundraising efforts are successful, then Darrow will be memorialized with a statue on the very courthouse lawn where the Scopes trial took place 90 years ago. Proponents of the project argue that placing a statue of Darrow on the courthouse lawn would be fair, as there is already a statue of Bryan on the lawn. However, many Christians argue that Darrow’s legacy is not one of civil liberties or scientific progress, but rather secular immorality and evolutionary indoctrination.